Happy Gram - Punch It Out! 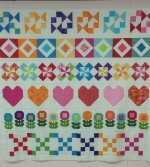 This fun applique quilt is a great tribute to spring. Bunnies, flowers, bees and chicks by Jan Patek makes any room happy for spring. This 9 month Block of the Month finishes 62''x76'' and is only $19.99 a month. Get your new Block of the Month today! We brought it out at the Dallas Quilt Show and everyone loved it! 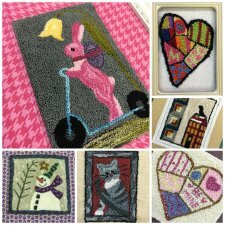 Wendy is offering a punch needle class this Thursday, March 26, from 10 a.m. - 1 p.m. just for you. In class, you will learn the techniques needed to master this ancient form of thread painting. Pattern and weaver's cloth provided, but please bring punch needle, locking hoop and floss of choice to class. Register today. It's time for another sharing of history and quilts with Carolyn Miller this Friday, March 27, from 10 a.m. - 12 p.m. She'll be finishing up her lecture on Pennsylvania Dutch quilts. Don't forget to bring your own show-n-tell. Make sure you enroll to save yourself a spot. Enroll today. 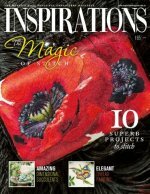 Join Laura Kay this Sunday, March 29, from 1 - 6 p.m. for dedicated time to complete all your unfinished projects. No more interruptions from kids, spouses, or housework. Let's dust off the project boxes and get those projects done. Register today. 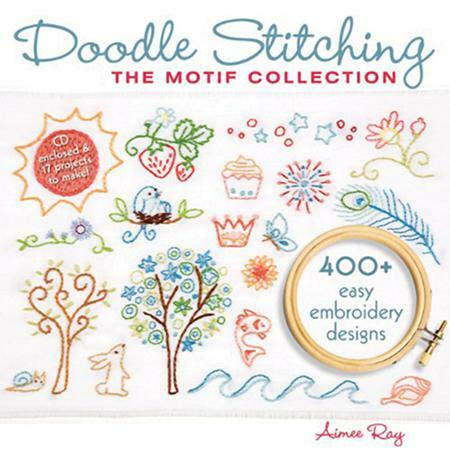 Are you ready to get quilting? 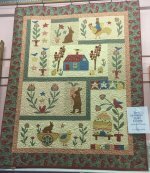 Join Penny for her 5-part Beginning Machine Piecing class starting Tuesday, April 7, from 6-9 p.m. Each week you will learn a new piecing skill and perfect your rotary cutting, measuring and pressing skills. 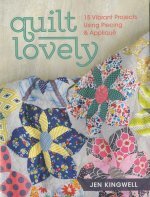 This fun quilt project will get you started on your new journey into quilting. Register today.